Chance has played a fundamental role in the production this wine. In 1970 the Marquis of Pancrazi decided to re-plant the vineyards in the Bagnolo estate, which is part of the administrative area of Montemurlo in the province of Prato. Due to an error on the part of the nurseryman, the Pinot Nero variety of grapevine was planted instead of Sangiovese, which is more common in this area. It was only after several years that the company became aware of the error, which the nurseryman naturally owned up to. The grapes are harvested by hand in perforated trays. 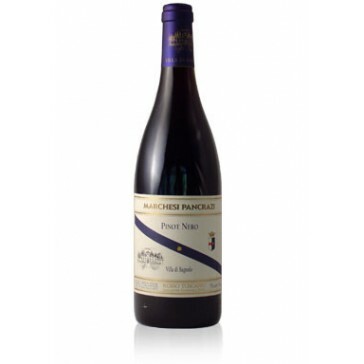 Pinot Nero Villa di Bagnolo matures for twelve months in finely-grained French oak barrels. Every year a third of the barrels are replaced with new ones. Before being put on the market, the wine in laid in the cellars of the Marquis of Pancrazi for twelve months. It is a deep ruby colour with a dark, purplish reflection. 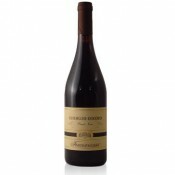 It has a full, strong bouquet, which is of great elegance and complexity, and has a predominant note of fruits of the forest jam, vanilla, and a hint of liquorice, white truffles and aromatic wood. It tastes full, warm and as mellow as velvet but with a good body. 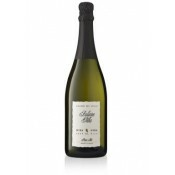 It is flavoursome and well-balanced, with an aristocratic background of ripe blackcurrants, toasted nutmeg and oak that lingers in the mouth. The Bagnolo estate was created in 1500 by the Strozzi, a royal Florentine family who owned the Omonimo Palace in Florence. It remained in their hands until 1965, when the wife of Roberto Strozzi, the last in the family line, left the estate in her will to her relative, Cristina Morrocchi Pancrazi. The present owner of the vineyard, the Marquis of Pancrazi, comes from a family originating in Cortona and dating back to 1492, an age when aristocratic families were instrumental in city government. Through marriage to members of various noble families, the Pancrazi rose to the level of Marquis in 1800. 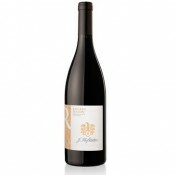 The estate produces only one wine, Pinot Nero Villa di Bagnolo. The secret of the success of this wine lies in a few fundamental factors: a wealth of iron in the soil, which is important for the aroma of Pinot Nero; the presence of water only a few meters away, which makes irrigation possible in dry periods; and thermal springs, which are important on summer nights. The vineyard is stocked with about 3,000 plants and extends for a hectare. The number of bottles produced is therefore limited. 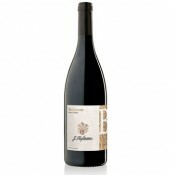 This wine is at its best with red meat, with dishes based on truffles, and with cheese. 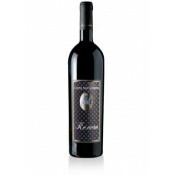 It is recommended to open the bottle several hours before serving. The wine should be served at 18 degrees centigrade. The best glasses to use are clear, transparent crystal goblets. If kept well, this wine has an average conservation period of ten years. The bottles should be laid horizontally in a cool, dark, humid wine-cellar. "BEST OF INTERNET - WINE - www.wineshop.it Sciacchetrà und Cinque-Terre-Weine im Internet"